We have represented parents on both sides of child support disputes, and this gives us the perspective needed to fight more effectively for you. Our team is happy to meet with you either at our offices or the place of your choosing. Better communication results in better outcomes for both you and your children. Contact us today for a free consultation with a child support attorney that has your child’s best interest in mind. We proudly serve clients in Jacksonville, FL, and surrounding communities. If you or the other parent of your child receive disability income, it WILL be used as a source of income when calculating child support in accordance with the Florida Child Support Guidelines. 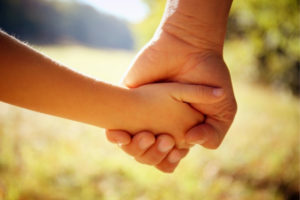 If you have a child that receives disability income due to a parent’s disability, that income should go to the parent with whom the child resides for the majority of time as a form of child support AND, IMPORTANTLY, that income will be used to decrease any child support amount calculated for the care of the child. The Law Office of Summer R. Nichols has handled hundreds of divorce and child support cases where disability is involved. Contact us today to have a free consultation regarding how we can help you resolve your case! Did you know you can file to modify child support even if your child has turned 18? The Law Office of Summer R. Nichols provides a FREE case evaluation to help you determine if you do have grounds to modify, and we can ensure your request is filed with the Court by the deadline.